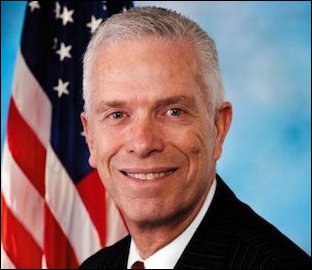 Since the publication of this article by Middle East Forum director Gregg Roman in The Hill on January 27, Rep. Bill Johnson's letter to President Trump has received 43 co-signers. The inauguration of Donald Trump as the 45th president of the United States has ostensibly ended an eight-year deterioration of the U.S.-Israel relationship. Now it's time to repair the damage. To this end, Rep. Bill Johnson (R-Ohio) is circulating a draft letter to President Trump pledging support for his effort to restore our special relationship with Israel and highlighting five priorities that should guide it. They're all no-brainers. But they say that half a brain is worse than none-at-all, so I'll review them for the benefit of Beltway insiders. The first is reversing "to whatever extent possible" United Nations resolutions injurious to Israel, a clear reference to Security Council Resolution 2334, orchestrated by the Obama administration last month. In declaring Israeli claims in Jerusalem and elsewhere null and void, Resolution 2334 made it all but politically impossible for Palestinian leaders to accept territorial compromise in the foreseeable future. In the past 8 years, Israel's enemies have come to believe they can win the PR war. Unfortunately, Trump can't completely un-ring this bell — exactly the reason the Obama administration insisted on ringing it — which makes the other four principles even more important. 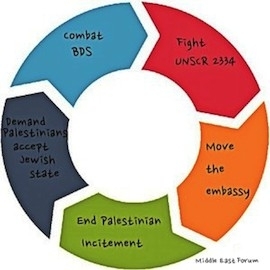 The second principle is fighting the Boycott, Divestment and Sanctions (BDS) movement aimed at delegitimizing Israel. Resolution 2334 gave an enormous boost to this insidious campaign, which has gained strength on American college campuses over the past eight years and facilitated a rise in anti-Semitic violence. Those who are obsessed with unfairly singling out and demonizing Israel now have a powerful tool with which to deceive impressionable undergraduates and deflect accusations of bias. The Trump administration should work to publicly ostracize those who peddle anti-Israeli hate speech. The Trump administration can help mitigate the effects by joining the growing number of state and local governments who have publicly ostracized those who peddle anti-Israeli hate speech. In the meantime, Trump should sign the Anti-Semitism Awareness Act, which enhances the Education Department's ability to monitor and punish anti-Semitism on campus, after it is approved by the House. The third principle is pressuring Palestinian leaders to accept Israel's right to exist as a Jewish state — something Palestinian Authority President Mahmoud Abbas has repeatedly said he will never do. This should no longer be regarded as a concession to be made in conjunction with a final status settlement, but rather as the sine qua non of negotiations. Without this fundamental commitment to coexistence with Israel, there's nothing to talk about. The fourth principle is ending Palestinian incitement to terrorism. Typically regarded as something Palestinian leaders will get a handle on once an agreement has been reached, this too must be confronted. Israelis are ready to compromise in pursuit of peace, but they tend to clam up when their "peace partners" are urging people to kill them. Finally, it is necessary now more than ever to move the U.S. embassy to Jerusalem from Tel Aviv. Resolution 2334 was quite plainly intended to question Jerusalem as the capital of Israel, thereby enabling Palestinian leaders to justify their refusal to compromise. Trump must respond by transferring the U.S. embassy there, demonstrating that the United States, as the world's greatest power, is committed to Israel's right to be there. All members of Congress who consider themselves "pro-Israel" must sign Johnson's letter to show the international community that a new era of unprecedented U.S.-Israel cooperation and friendship is in the offing. Once the United States unmistakably reiterates its commitment to Israel, others will take notice. Once the United States unmistakably reiterates and acts to affirm its commitment to Israel, others will take notice and reorient their policies accordingly. Defenders of the outgoing U.S. administration don't want that to happen. Some maintain, ludicrously, that "Trump's unquestioning support means trouble for Israel," as if an overabundance of U.S. support and deference during the Obama years were the problem that needs correcting. The problem that needs correcting is that years of hostile U.S. actions under the Obama administration, from the Iran nuclear deal to UNSCR 2334, have emboldened Israel's enemies to believe that they can win the public relations war against the Jewish state. Together with Israel, the Trump administration must now convince them that they have lost and that recognizing that fact is the only way forward.